Syed Suleman Shah Sindhi Folk Music Singer. He was born in Mirpur Bathoro, District Thatta Sindh. He was most popular Sindhi Classical Music, Sindhi Sufi Music, Sindhi Lok Music Singer. He was great legendary Sindhi Artist and create great name in Sindh Music. Syed Suleman Shah was a natural storyteller and he sung Story Telling Songs. Syed Suleman Shah was all round performer in Sindh Music. His music distributed from one village to next village, he sung with marriage ceremony and "Mela". Syed Suleman Shah providing late evening performances for rural and small towns with audiences, he sung with religion, comedy and telling of ancient heroic. Syed Suleman Shah introduced Sindhi Lok Music in different styles and he attraction on thinking poetry and Storyteller in Dastan Music Artist. Sindhi tales has been fused in a movement of forty volumes under Sindhi Adabi Board's wander of Old stories and Composing. This gainful wander was capable by noted Sindhi specialist Dr.Nabi Bux Baloch. He sung lot of great songs and style to dance on songs was very famous specially Sindhi Old Music. He was very great dancer during the singing versatile style and what a stylish singer we remember in our heart all time. 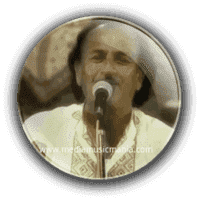 His singing takes place in a live setting, perhaps at an open "Mehfil" in "Aotaq" also he sung different type of Music with zeal and enthusiasm. The material for the wander has been accumulated both from the oral traditions town individuals and the formed record. I have selected below most popular Sindhi Classical Music of Syed Suleman Shah.